The 2017 Warranty Chain Management Conference to be held at the Hilton El Conquistador Golf and Tennis Resort, Tucson, Arizona on March 7-9, 2017. This annual conference provides a forum for Warranty Professionals and Executives to meet and discuss warranty related issues and learn best practices from industry peers. This entry was posted in Appliance & Electronics, Automotive, Financial Services, Furniture, General, Home Warranty, Insurance Carriers, Mobile Electronics, Powersports, Technology, Tools & Equipment and tagged Tata Consultancy Services, Warranty Chain Management Conference on January 4, 2017 by Editor. Mize to showcase mWarranty, Next Generation warranty management software to streamline Warranty Registrations, Claims, Returns, Supplier Recovery, Service Plans, Service Campaigns and Warranty insights. This entry was posted in Appliance & Electronics, Automotive, Furniture, General, Home Warranty, Technology and tagged Mize, Warranty Chain Management Conference on December 13, 2016 by Editor. Conference Registration is now open! Don’t let this unique training and educational opportunity pass you by. Register Now And Mark The Dates! TUCSON, Ariz. – Nov. 21, 2016 – PRLog — ALG Associates LLC today launched the 13th annual Warranty Chain Management (WCM) Conference, to be held March 7-9, 2017 at the Hilton Tucson El Conquistador Golf & Tennis Resort. This entry was posted in Appliance & Electronics, Automotive, Financial Services, Furniture, General, Home Warranty, Insurance Carriers, Mobile Electronics, Powersports, Regulatory, Technology, Tools & Equipment and tagged Warranty Chain Management Conference on November 28, 2016 by Editor. This entry was posted in Appliance & Electronics, Automotive, Enhancement Solutions, Financial Services, Furniture, General, Home Warranty, Insurance Carriers, Mobile Electronics, Powersports, Regulatory, Technology, Tools & Equipment and tagged Warranty Chain Management Conference on August 31, 2016 by Editor. The 13th Annual Warranty Chain Management Conference 2017 Call for Presenters is Open! This entry was posted in Appliance & Electronics, Automotive, Enhancement Solutions, Financial Services, Furniture, General, Home Warranty, Insurance Carriers, Mobile Electronics, Regulatory, Technology, Tools & Equipment and tagged Warranty Chain Management Conference, WCM 2017 on August 10, 2016 by Editor. 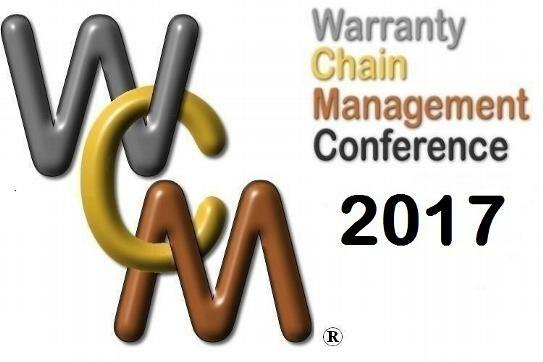 The 13th Annual Warranty Chain Management (WCM) Conference is scheduled for March 7th – 9th, 2017 at the Hilton Tucson El Conquistador Golf & Tennis Resort, Tucson, Arizona, USA. Following on from the highly successful WCM 2016 the theme of next year’s conference is “Warranty and Service Contract Management To Drive Competitive Advantage In A Challenging Global Economic Environment”. This entry was posted in Appliance & Electronics, Automotive, Furniture, General, Home Warranty, Insurance Carriers, Mobile Electronics, Powersports and tagged Warranty Chain Management Conference on July 5, 2016 by Editor.